Whether you are new in the world of TEFL and want to obtain an internationally recognised teaching qualification or have been in the profession a while and wish to take the next step in your career, you’ve come to the right place. We run Cambridge CELTA, Cambridge Delta and a range of other specialised courses in areas such as Teaching Younger Learners or Teaching English for Business. Since its opening in 1994 our school has quickly become one of central Europe's foremost teacher training centres. Over these years we have earned a worldwide reputation for excellence in what we do and built a team of highly experienced, dedicated trainers. The course includes a session about finding work, and we have noticeboards with advertisements from prospective employers around the world, including other IH schools. Other schools in the region know we run training courses and often advertise for teachers with us. If you would like the Teacher Training Centre to help you find accommodation, you can ask for it on the application form. It can be provided in furnished flats shared with another course participant or usual tenants of the apartment. Each participant has an independent single or double room, with the kitchen and bathroom being shared. The flats are equipped with a washing machine, fridge etc. and an Internet connection is provided. The cost of such accommodation costs up to 1500 PLN (about GBP 290) for a 4-week period. Single accommodation, hostel or hotel accommodation or other special accommodation is also available on request, at an extra cost. Accommodation is usually available on the Sunday before the course starts and should be vacated on the Saturday after the course ends. However, it is often possible to arrive earlier or leave later; you just need to notify us in advance. If this is not possible, we will help you find different accommodation for the extra days. 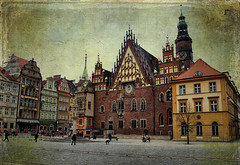 The historical city of Wrocław is a fantastic location to take a training course. This dynamic, charming place truly has something for everyone. You will want to come back to enjoy it properly once your course is over! In order to provide you with the best service possible, International House Wroclaw needs to know a little about your specific situation. If you have questions, please first select a course from the list on the this page. You can always change course dates later. International House Wroclaw Sp. z o. o. Fantastic course, fantastic location and fantastic trainers. Richard and Kasia are fantastic and patient, knowledgeable and kind. I would highly recommend doing the Celta in Wroclaw with International House. It was brilliant. The tutors were fantastic! They have definitely helped me to become a better teacher and are also lovely people. 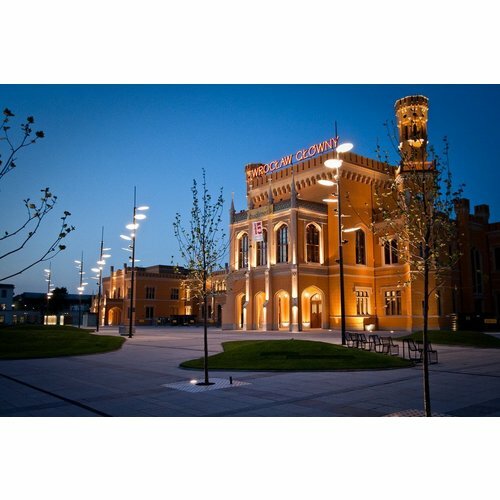 The school is located in the heart of Wroclaw which is beautiful and easy to get to. There is a good computer room, teachers room, games and books. So glad I did it, and would highly recommend IH Wroclaw! I loved this course! I have had many friend complete a CELTA and they all told me about the intensity which is the best way to summarise a CELTA course - intense. The support is great at IH Wroclaw, you learn so much so quickly and both tutors are highly approachable with very clear knowledge of EFL. The classes are fair and comfortable and the students were all great, seems like many of them are returners each month. I think the course was great-it furnished me with lots of practical skills, theoretical knowledge and confidence. I was amazed how supportive and helpful yet demanding our tutors were. 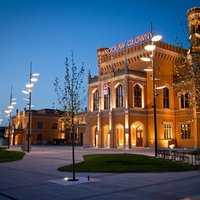 I'd recommend IH Wroclaw to anyone. Very intensive but I learned a lot and now feel better prepared to teach and I now know we don't play 'games' in the classroom! I am set! This course was at times challenging but gave me a different perspective on how teaching English should be approached. Loved the course. Loved the teachers. I just wish the facilities were open earlier for course preparation. The CELTA course was without doubt one of the most fulfilling things I have done in my life. I was extremely supported by the tutors who gave constructive feedback after each teaching practice and made the intensive course seem that much lighter. Dean and Stephen, thank you! The location on the Rynek is wonderful, it's outs you right in the heart of the city - just a stone's throw away from the shops and restaurants. The facilities at the school were always available, with a computer room, printer and photocopier at our disposal. I would recommend that you bring a HDMI adapter if you operate on Mac if you would like to use the projector for presentations in class. The price may be one of the most cost effective in Europe but the quality and standard of the course is not compromised in any way by that. Study at IH Wroclaw, you won't regret it! Doing the CELTA in IH Wrocław was a wonderful experience! The tutors (Stephen and Dean) are really engaged, professional, knowledgeable and yet friendly and supportive, the staff is very kind and helpful. The atmosphere there is just great, and the city much better than you would expect! :) I totally recommend this center. It was an excellent, unforgettable experience! A very intensive course that tests your mental and physical capacities. However, once you pick up the pace, you do not want it to stop. The whole course experience is unforgettable as are the tutors, the trainees, and the staff. If you decide to enrol on the course, go for IH Wroclaw! Wroclaw's beauty is easily comparable with that of Prague and the school is in the heart of the city. People are friendly and the ease with which you can travel within the city (bike rental, trams, buses) is amazing. It was an amazing experience! The tutors and the staff were very nice and accessible to the trainees. I would totally recommend IH Wroclaw! I found the CELTA course to be very demanding and really rather exhausting, but I couldn't have chosen a better place to do it. The tutors, staff and students were all first class and we received an excellent level of support throughout. The lessons we had were engaging and enjoyable, and the feedback we got from our own teaching was always valuable. Furthermore, the location of the school couldn't have been better, being just a matter of metres away from the beautiful Wroclaw Rynek. I would highly recommend those contemplating taking the CELTA course to opt for IH Wroclaw. The course was so productive and informative. Both tutors have made great efforts to assist us throughout the course. The administrative staff were always cheerful and helpful. The tutors (Dean & Kasia) are fantastic, they're really informative and helpful but they also encourage you to become more independent as the course progresses. The administration staff are extremely kind and friendly. The students are lovely and for the most part are patient with trainee teachers, and the school is conveniently located in central Wroclaw close to bus and tram stops. Overall I had a great experience on the course and would recommend anyone thinking of doing the celta to choose IH Wroclaw. Superb tutors, kind staff, and an excellent location. The course was life-changing and I highly recommend doing it in Wroclaw. It was an unforgettable experience. Really educational and challenging. The course was satisfying overall. The only complaint is that there were no blinds in the room 6, hence it was hard to see/watch projected images/videos especially from certain angles. That's why there are only 3 stars for the facilities. The administrative staff were very helpful! The course was very demanding and challenging but was certainly worthwhile and rewarding. The excellent staff, central location and excellent price made the choice a real no brainer. I am very lucky to have done my CELTA course with IH Wroclaw! I learned more than I ever thought I would, I received great support throughout the whole course and I had the best course mates! I'd recommend IH Wroclaw to any teacher-to-be. I did my CELTA at IH in Wroclaw in September 2014. I found the staff at the school to be incredibly helpful and always willing to help us out. The location of the school is great, right in the centre of Wroclaw and the school organised our accomodation for us. The course tutors were brilliant. This was my fifth TEFL certification (the others were all attached to a particular job) and this was some of the best teaching to be an ESL teacher I have ever had. I can't recommend this course enough! Great and very challenging experience. Thanks to our tutors I learnt a lot. The CELTA course focused on practical training in the classroom. Students and tutors were very nice and encouraging. Wroclaw is an awesome city and accommodation/ food etc. are fairly cheap. The course was intense but that was expected. The school was clean and designed in a way which made it ideal for EFL classes. The course programme was transparent, and the group was a decent size. The students were lovely, and the atmosphere positive and welcoming. There was plenty of help available from the course tutors and the resources were all there, from books to projectors. There were bits about the course which I found a bit rushed, such as phonemes, but other aspects (tax abroad etc) very useful. I would recommend this course because it empowers new teachers, consolidates the practical skills needed to teach, but is also value for money. Taking a month off work to study can be expensive. But the course fee was decent, the accommodation cheap, and the city reasonable. 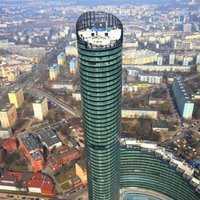 The standards of International House coupled with the affordability of Wroclaw make it a great place to complete the CELTA. Doing my CELTA course at International House Wroclaw was one of the best things I've done in my entire life. Dean is a great CELTA trainer. I learned a ton from him and he's generally a pretty cool guy to hang out with. We still communicate occasionally and he's full of advice for a new and experienced teachers. The administration and logistical staff did their job really well. I didn't interact with them too much during the course but they were able to find me a nice apartment for the duration of the course close to the center. Everything was taken care of, all I had to do was show up at the school when I arrived in Wroclaw and one of the ladies took me to the apartment, gave me a key, and helped me get a bus/tram card. 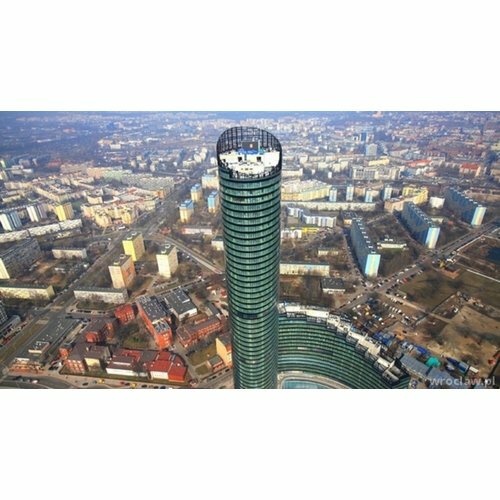 The location of IH Wroclaw was one of the highlights of the experience. The school is less than 200 meters from the historic old part of Wroclaw. I took part in the winter course near Christmas time so there was a whole Christmas market and festival going on after class each day. I would recommend IH Wroclaw to all my friends and anyone who asks me about a CELTA course. The course had two fantastic tutors who were extremely helpful and were always on hand to offer support and give advice when necessary. The course was conducted in a wholly professional manner from start to finish and I would thoroughly recommend anyone who is thinking about doing the course to choose IH Wroclaw. Taking the CELTA at IH Wroclaw was a really great experience. The atmosphere and overall level of the course were very good---demanding but also relaxed and very practical. Learning to be a teacher with the help the tutors here was an inspiring experience. Wroclaw is a super place to be too---very international and inteteresting but not too big at the same time. Overall---a hearty recommendation!